Ish Sodhi, Tim Seifert, Scott Kuggeleijn and Daryl Mitchell of Northern Knights are part of the ongoing T20I series against India. Northern Knights and Otago Volts will face off in the last league game of the tournament at the Bay Oval which is the least consequential game among the three to be played on Saturday. The defending champions Knights have confirmed their finishing as the No.1 side having won seven of the nine games they played including six in a succession. Otago Volts, on the other hand, are still awaiting their first win since the change of the year. The Otago team started the season with back to back victories. However, in the next seven matches they played, two games turned out to be washouts while the other five resulted in their losses. The Volts will be hoping to bring an end to the tournament with a win and also end their winless streak. They need to win this final game to ensure they don’t bag the wooden spoon when the Canterbury Kings defeats the Wellington Firebirds. 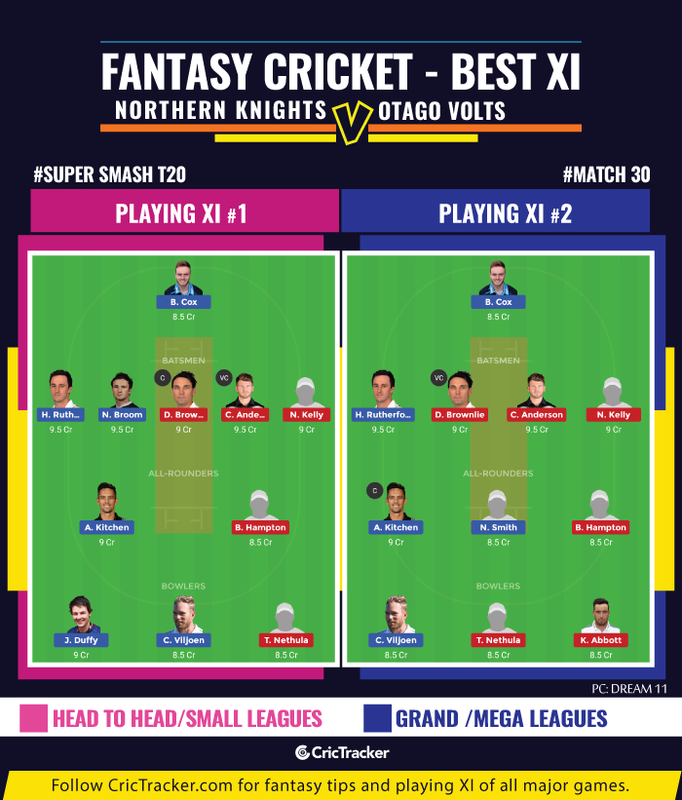 The 30th match of the Super Smash T20 2018-19 will be played between Northern Knights and Otago Volts at the Bay Oval in Mount Maunganui. The match starts at 7:10 PM local time (6:10 AM GMT) (11:40 AM IST). None of the three matches to be played on Saturday will be telecasted in India. The Bay Oval is one of the highest scoring venues in New Zealand. The scores of 190+ are regularly witnessed in the T20 format at this ground. The teams batting first have an advantage after posting such big totals. Record of chasing team: Won – 1, Lost – 6. Nick Kelly, BJ Watling (WK), Dean Brownlie (C), Brett Hampton, Corey Anderson, Daniel Flynn, Peter Bocock, Tarun Nethula, Kyle Abbott, Joe Walker, Neil Wagner. Bench – Joe Carter, Zak Gibson. In – Joe Walker, BJ Watling, Joe Carter, Zak Gibson. Out – Ish Sodhi, Tim Seifert, Scott Kuggeleijn, Daryl Mitchell. Hamish Rutherford, Neil Broom, Anaru Kitchen, Ben Cox, Josh Finnie, Michael Rippon, Brad Wilson, Christi Viljoen, Nathan Smith, Jacob Duffy (C). Ish Sodhi, Tim Seifert, Scott Kuggeleijn and Daryl Mitchell of Northern Knights are part of the T20I series against India. Tarun Nethula of Northern Knights was crucial in breaking the Central Stags’ winning streak in Napier last month. The leg-spinner picked up his maiden T20 5-wicket haul of 6/23 only to be dropped in the next game. 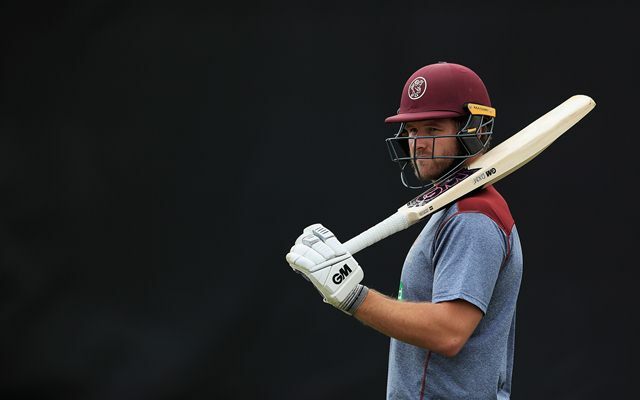 It turned out to be tough for the 35-year-old to find a place in the playing XI with the presence of the current Blackcaps spinner Ish Sodhi in the Knights’ squad. Among the bowlers, the duo of Christi Viljoen and Jacob Duffy are the trustable picks. Tarun Nethula and Kyle Abbott can be considered from this category while the remaining players are more or less risky. Northern Knights might miss the services of some of the crucial players in the game against the Otago Volts.